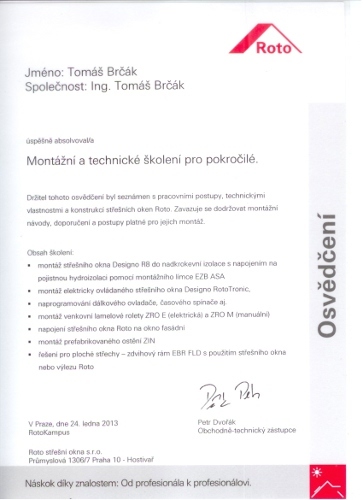 "Our work always has the best quality". 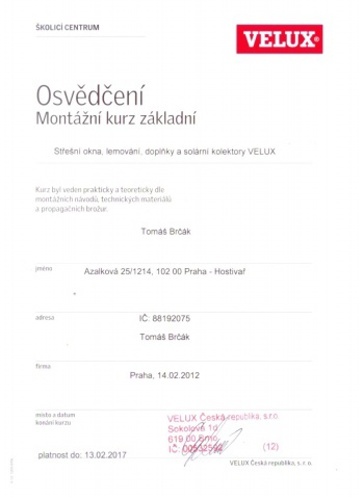 My name is Tomas Brcak and I do roofing and carpentry works. 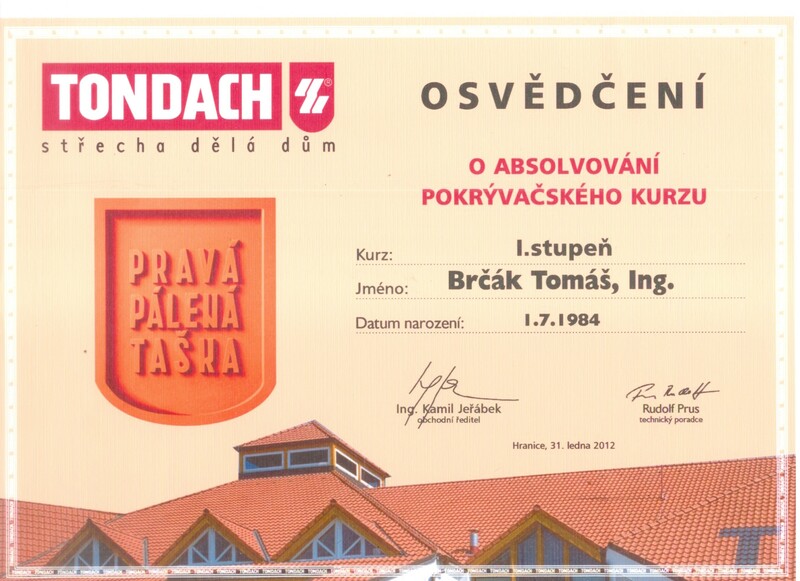 I provide you a complete realisation of roof projects, as well as wood structure constructions and wooden buildings. 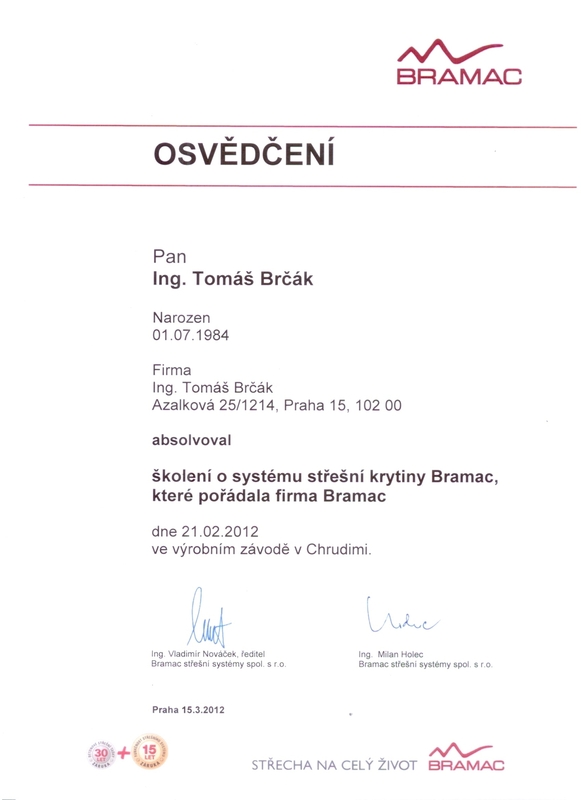 I also can install roof windows and do small masonry works. 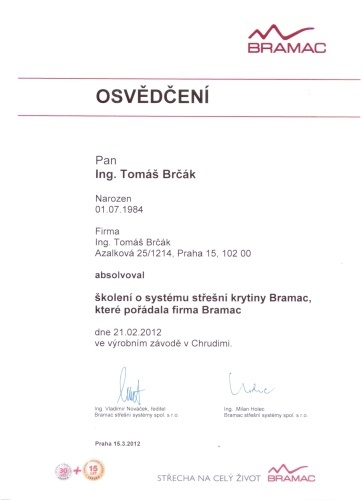 Our clients are mostly from Prague and Central Bohemia, but we can come to you wherever you are. 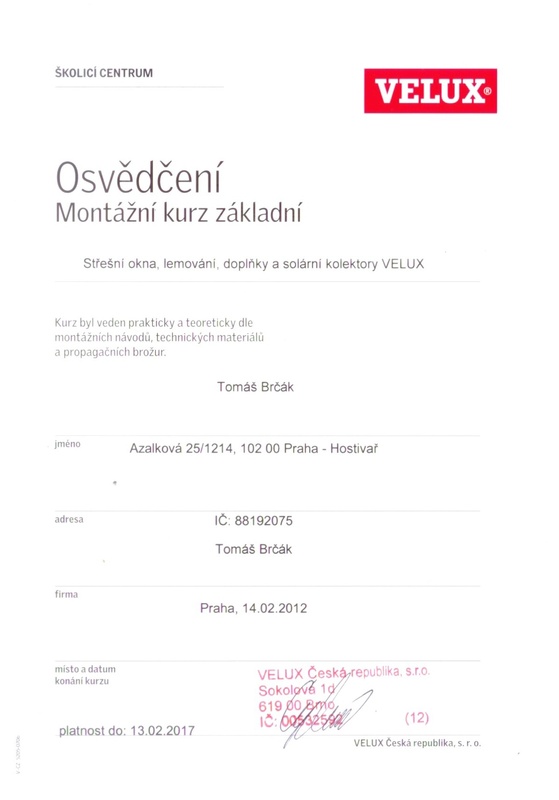 Where am I working. 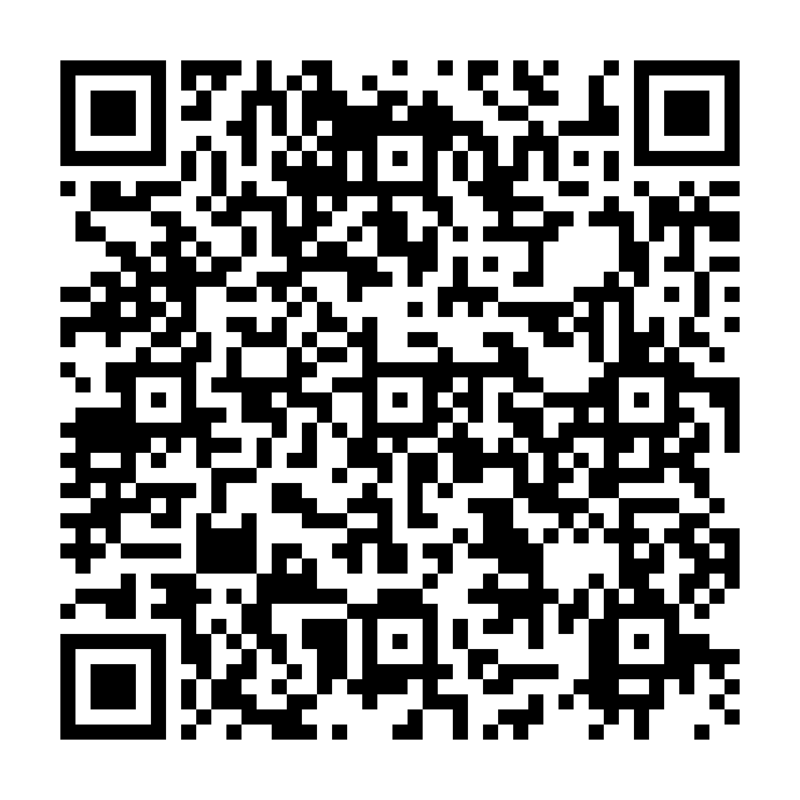 Are you interested of my offer? Contact me, or use contact form - I´ll answer in short time. 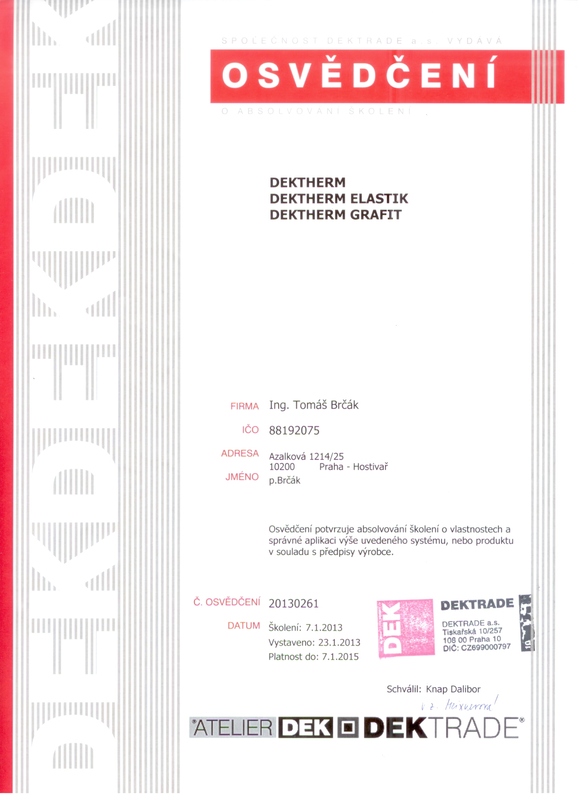 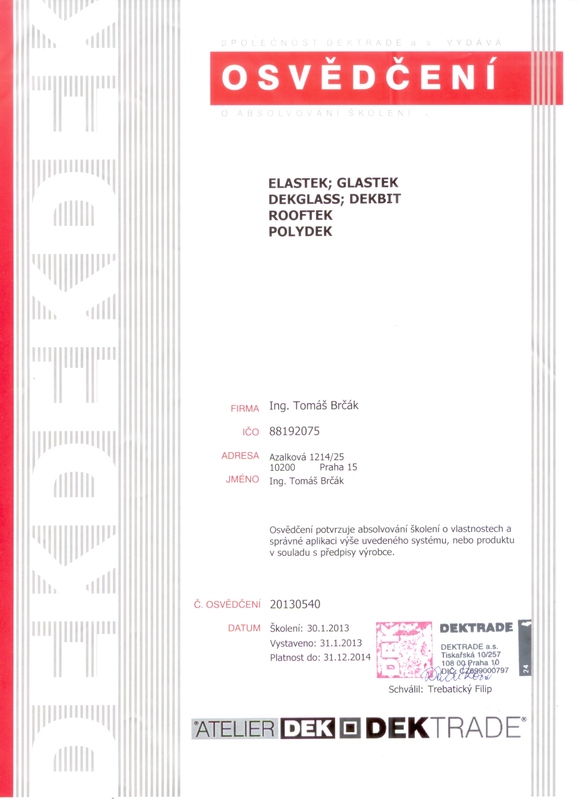 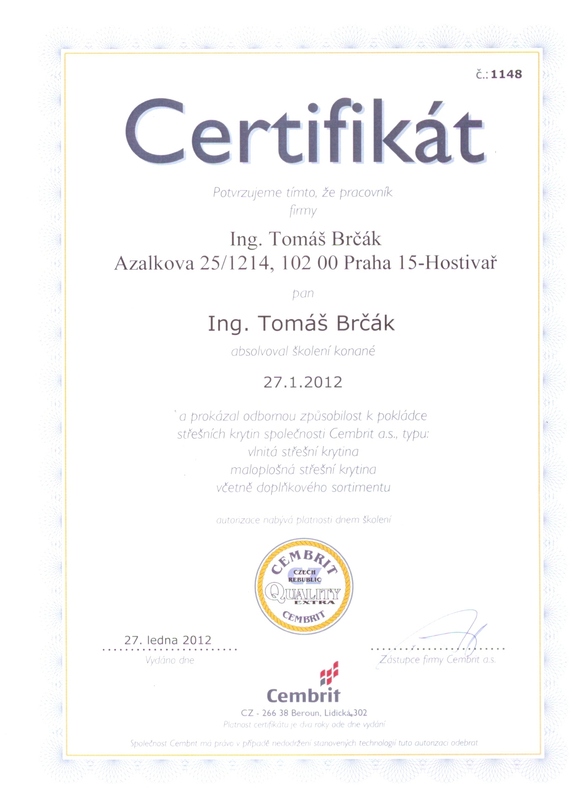 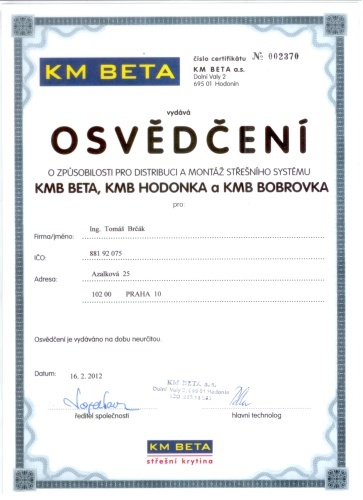 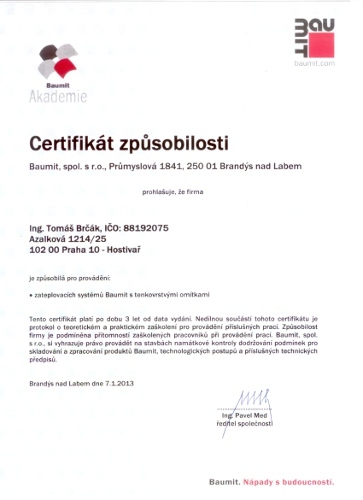 I am certificated by major roof material manufacturers in Czech Republic. Continuous education is the only way to follow new trends in the branch. Therefore you can rely that we will choose the best solution for your conditions using the newest know-how.